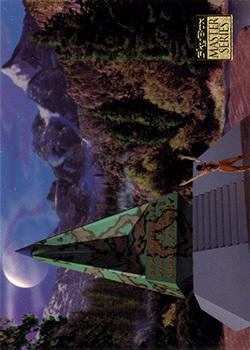 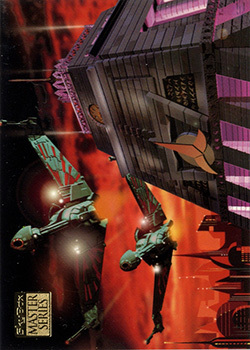 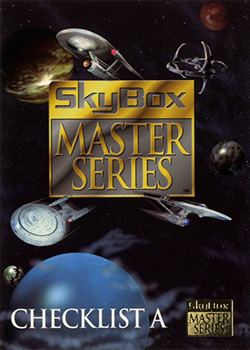 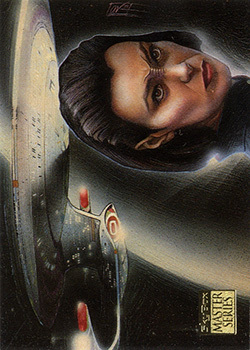 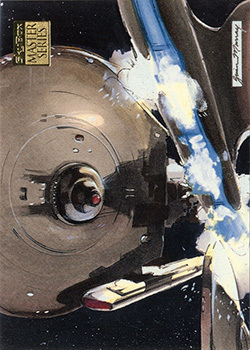 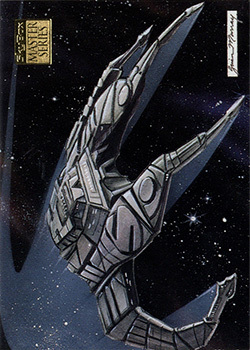 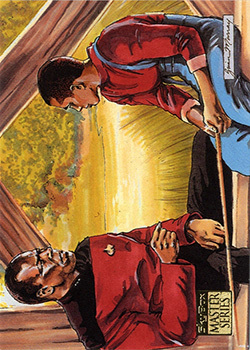 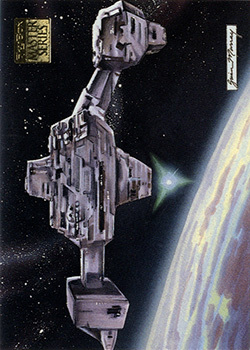 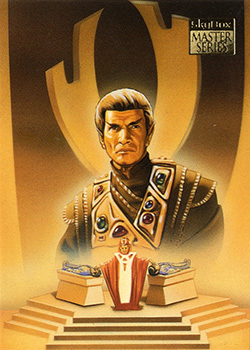 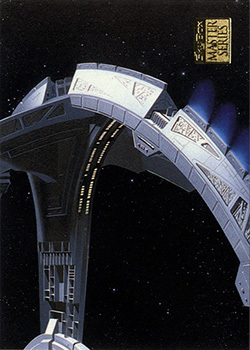 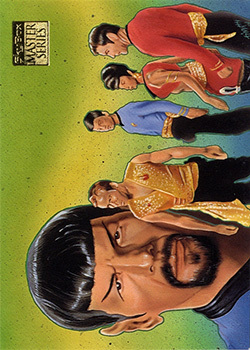 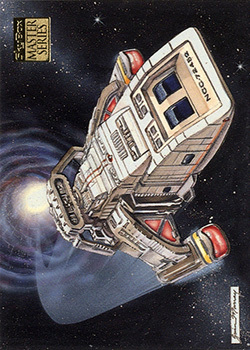 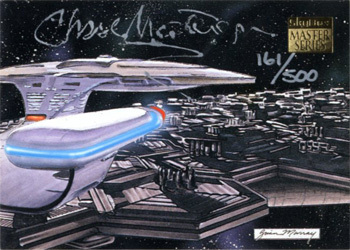 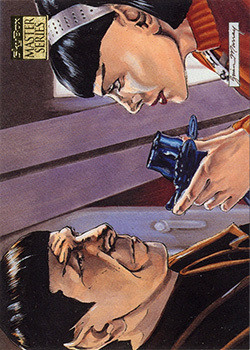 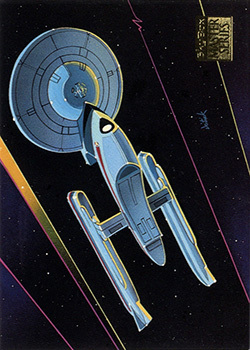 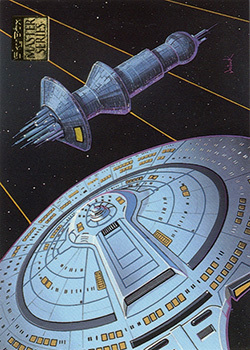 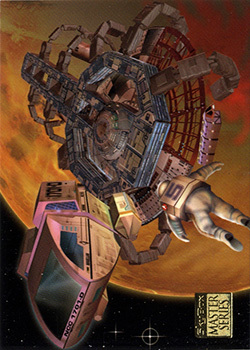 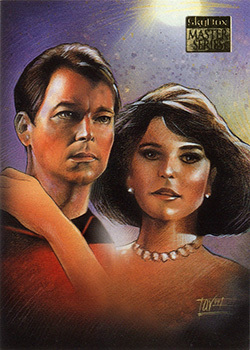 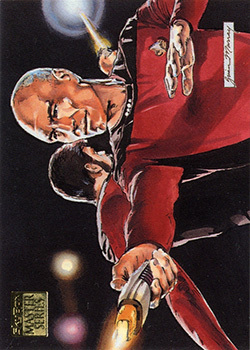 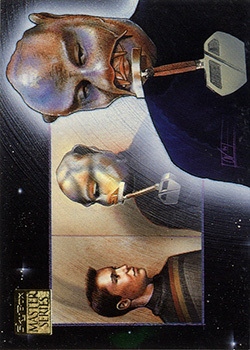 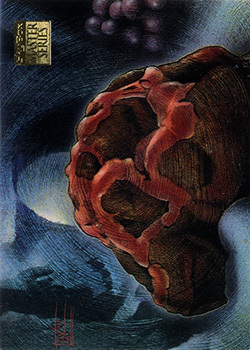 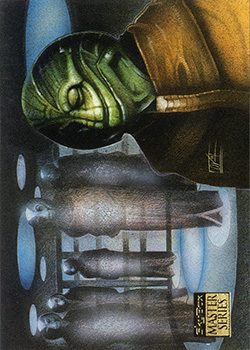 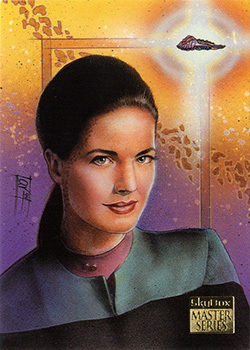 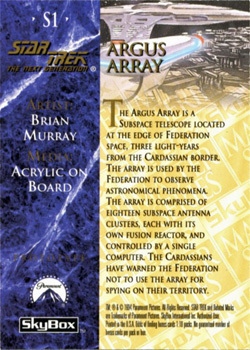 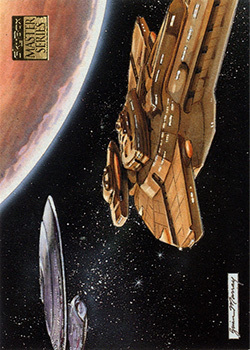 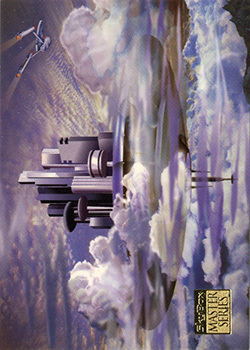 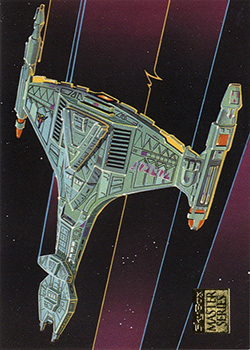 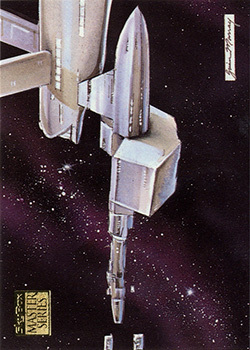 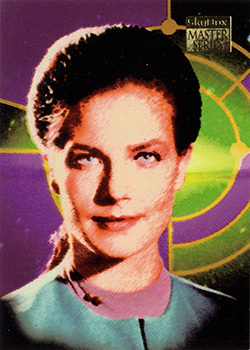 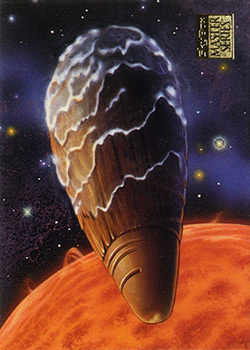 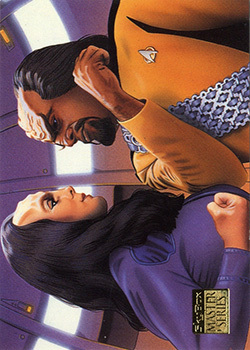 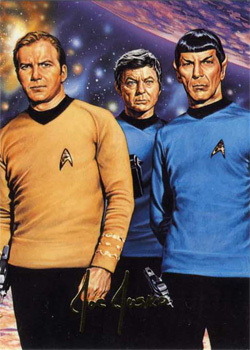 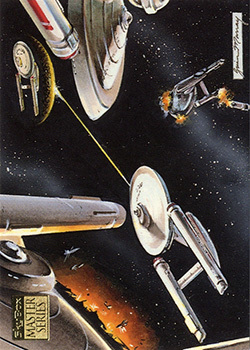 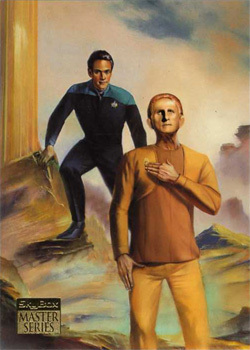 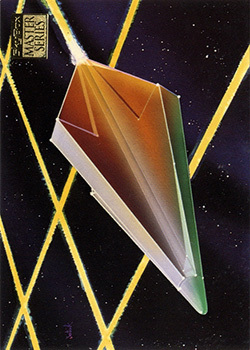 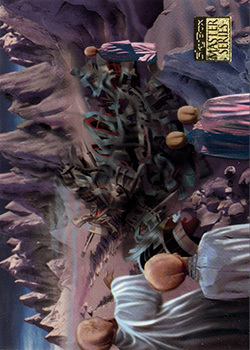 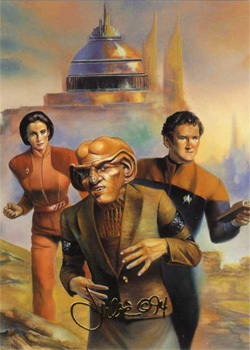 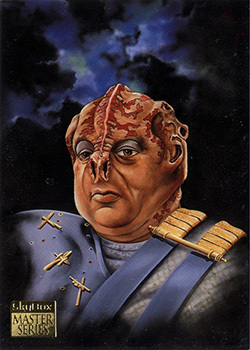 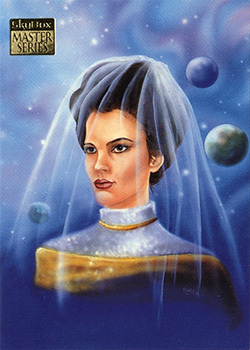 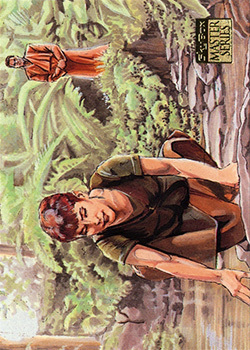 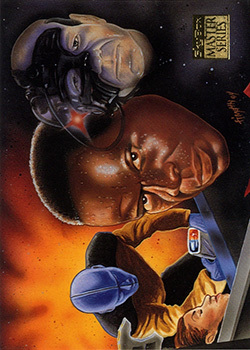 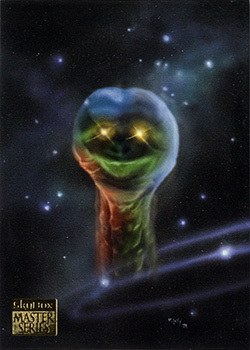 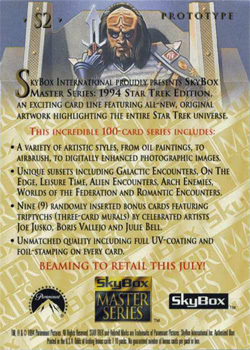 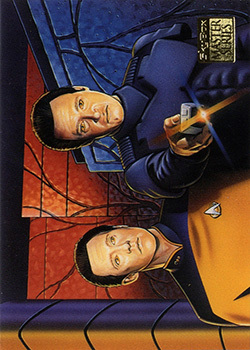 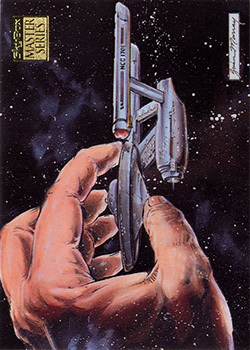 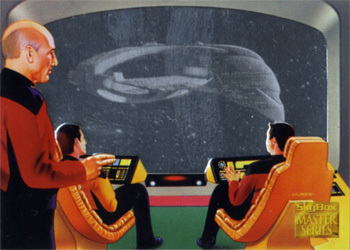 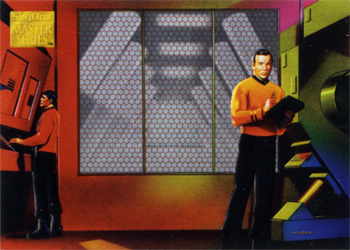 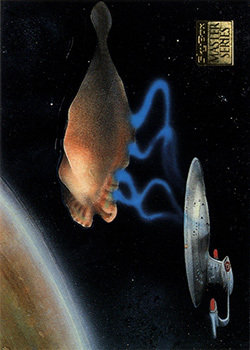 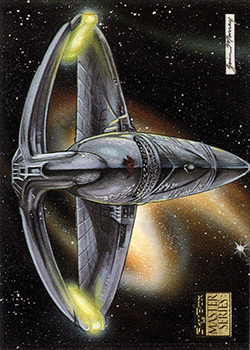 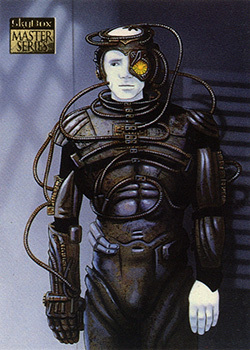 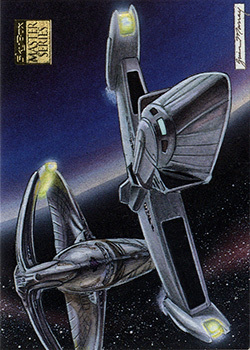 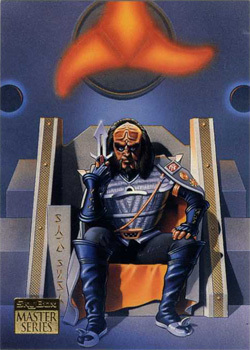 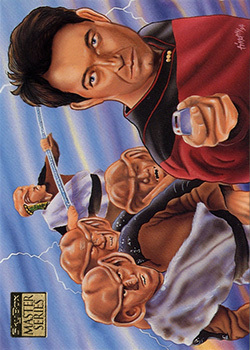 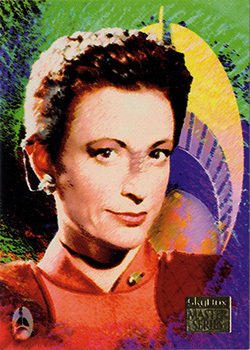 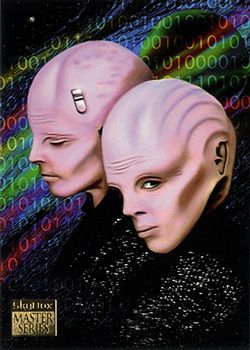 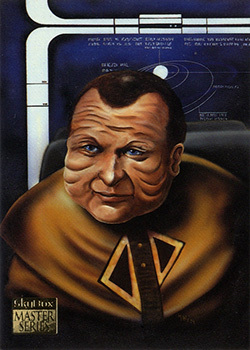 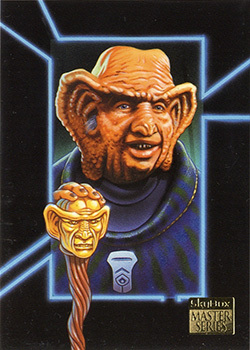 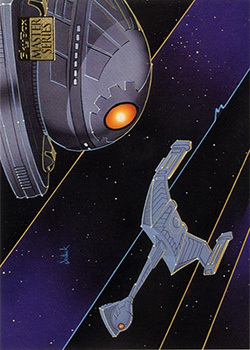 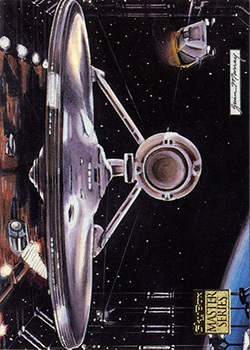 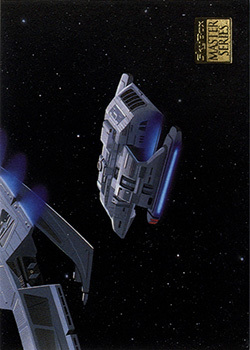 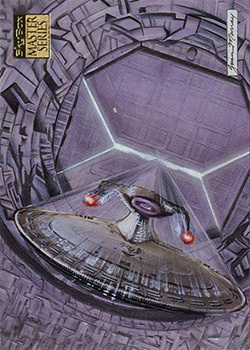 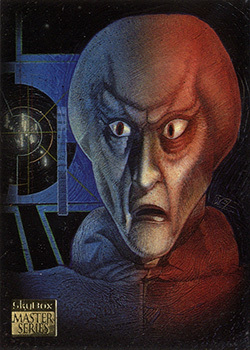 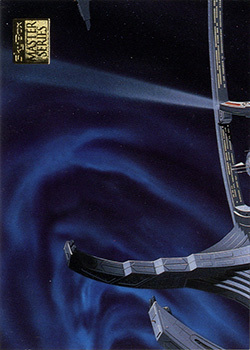 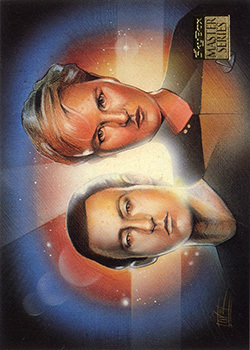 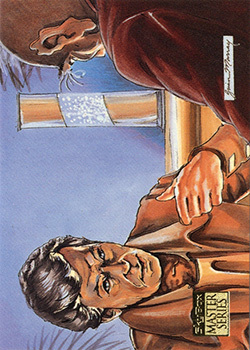 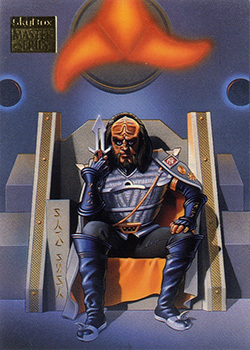 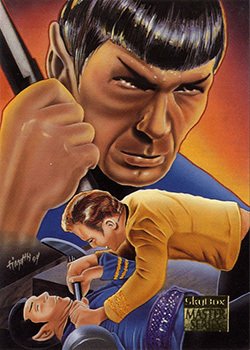 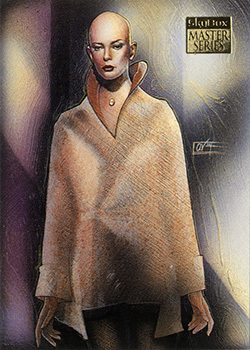 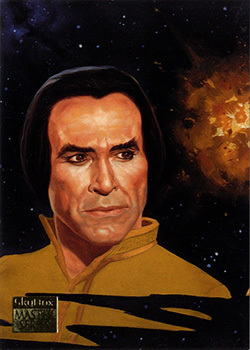 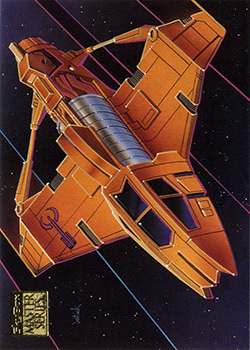 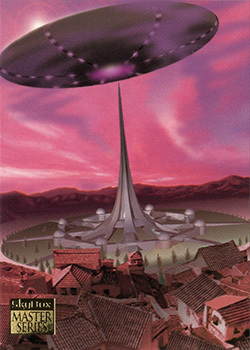 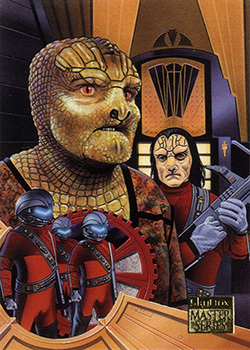 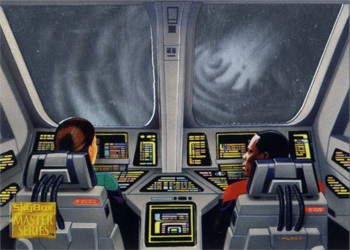 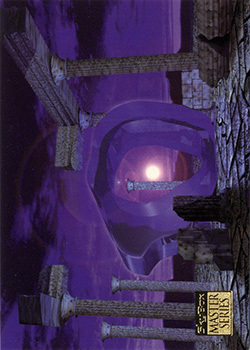 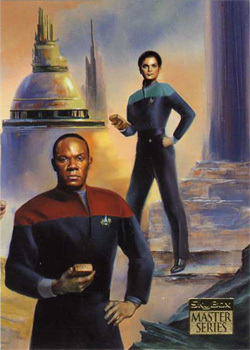 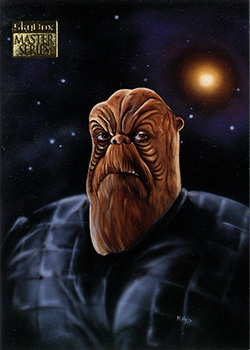 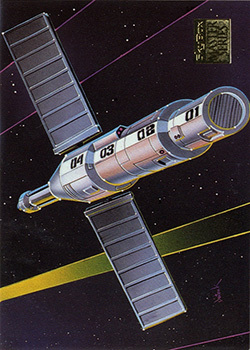 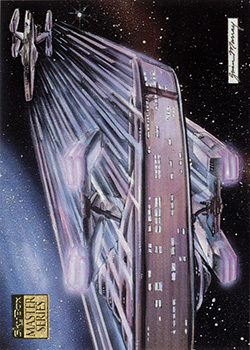 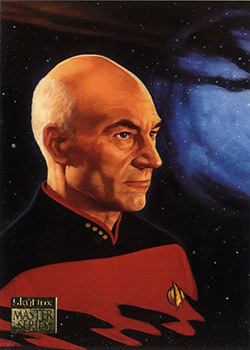 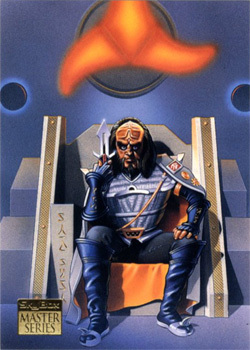 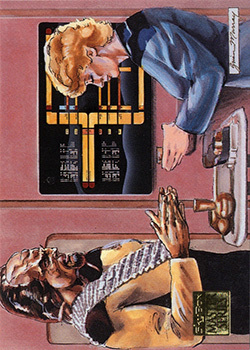 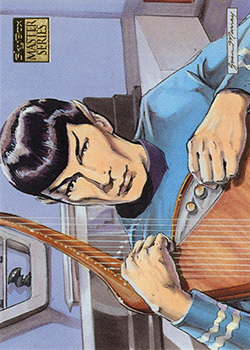 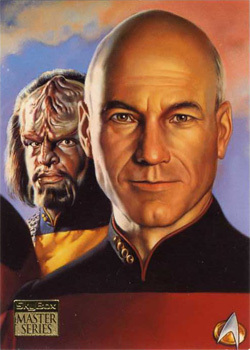 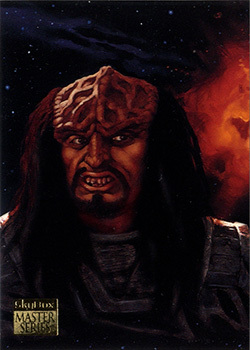 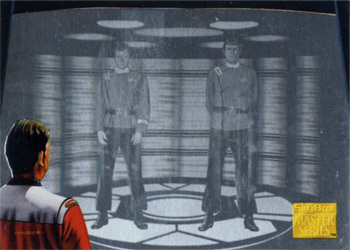 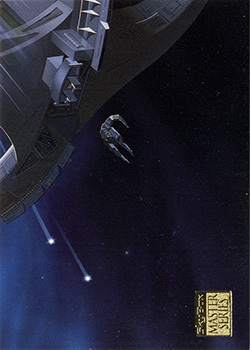 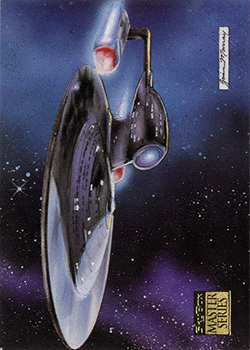 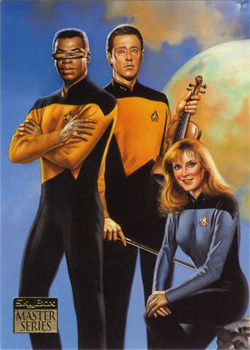 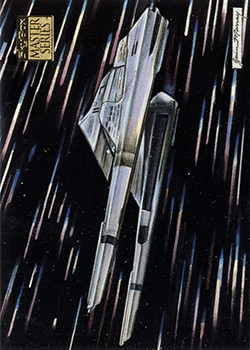 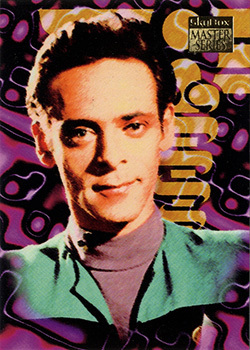 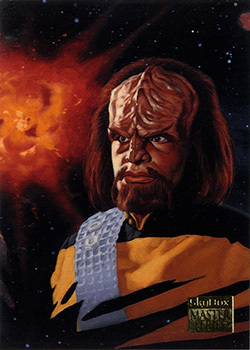 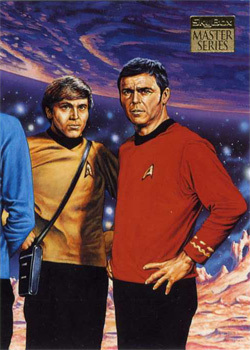 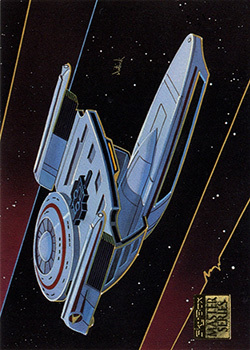 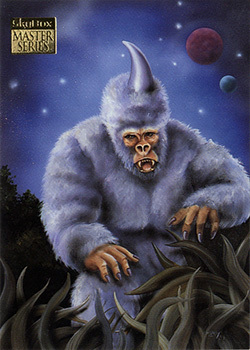 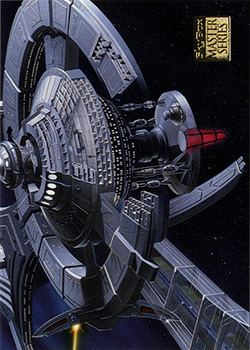 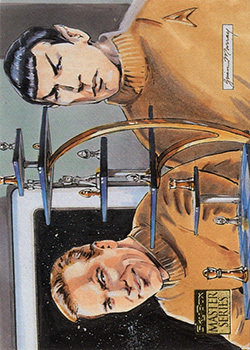 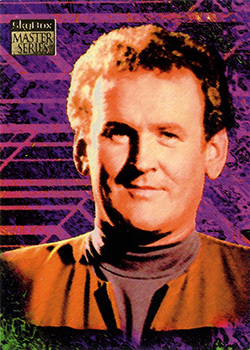 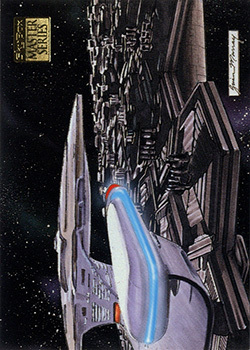 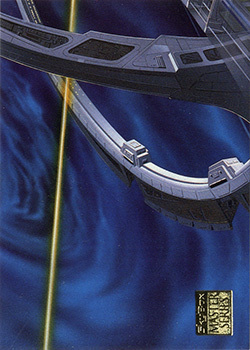 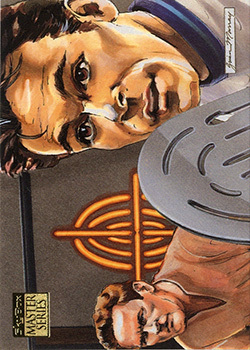 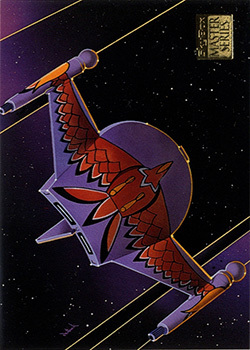 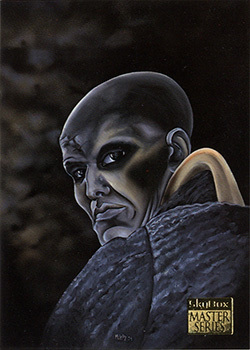 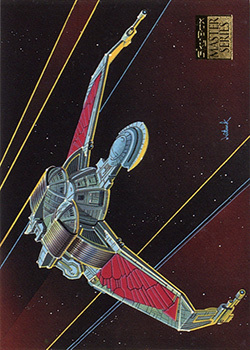 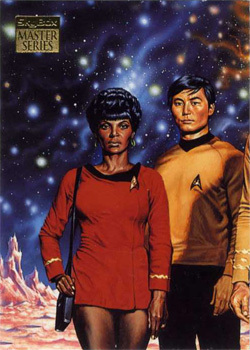 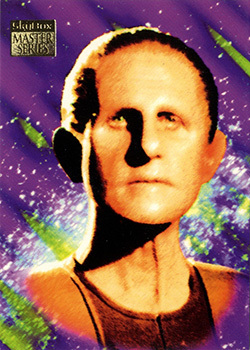 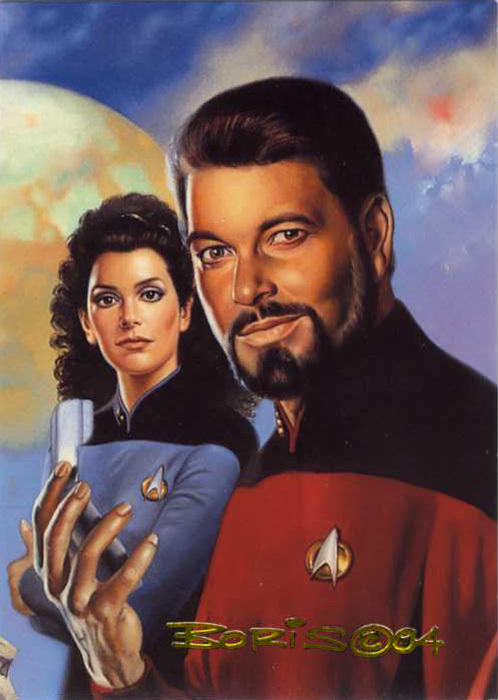 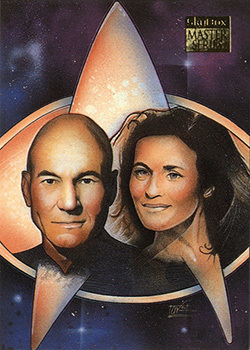 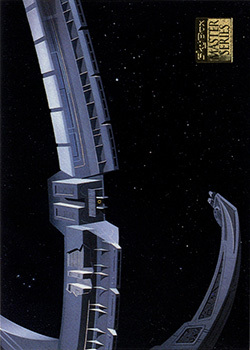 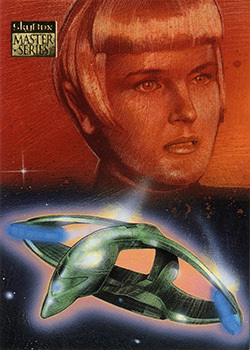 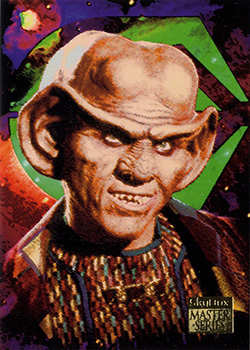 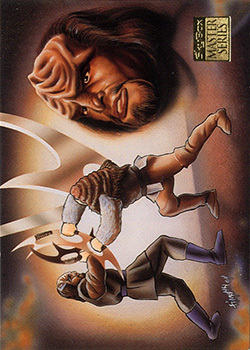 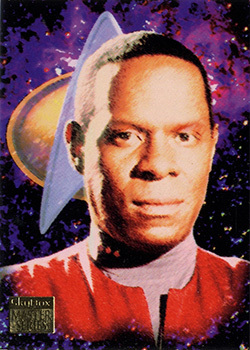 SkyBox released Master Series Two in 1994, again with artwork based on TOS, the movies, TNG and DS9. 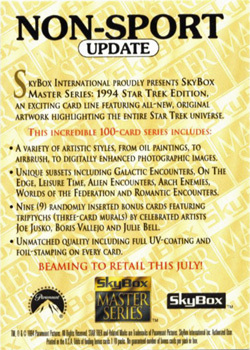 An embossed gold "Skybox Master Series" logo is printed on the front of all cards in this set. 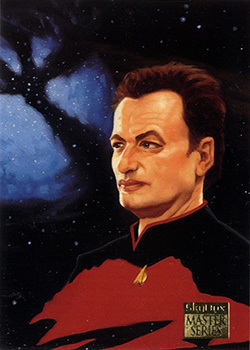 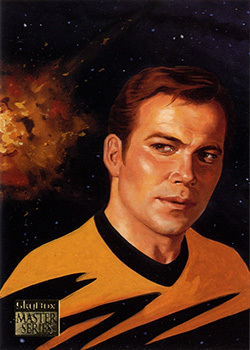 Several artists were commissioned for their artwork. 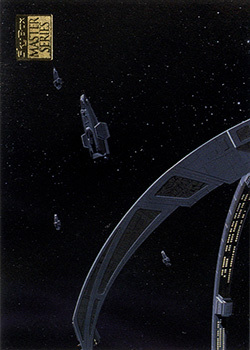 The backs have a short quote from the artist and a summary about the scene. 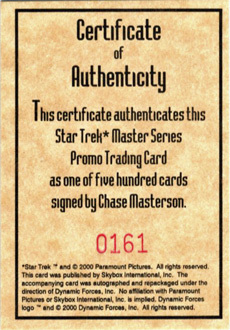 There are no facsimile signature card backs. 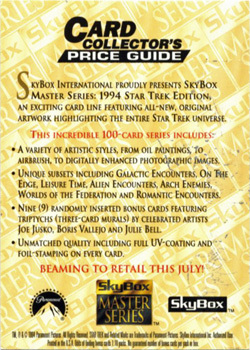 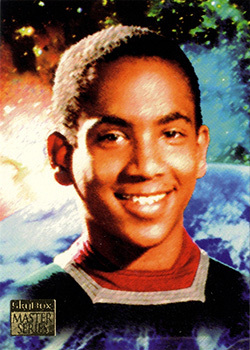 A binder was produced to house this and the Series One cards. 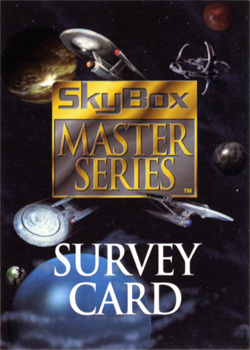 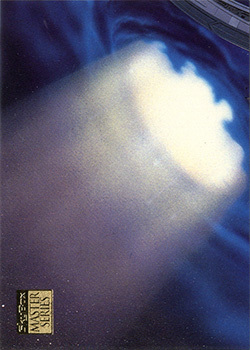 Skybox 9 September 1994 Not known 36 6 2½" x 3½"